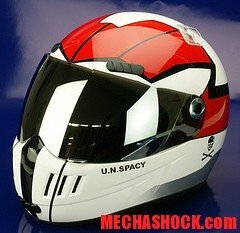 Back in 2003, Yamato is making a real 1:1 Helmet scale for Macross. If you ever dream of being a macross Pilot, this is one hell of collection you cannot miss. 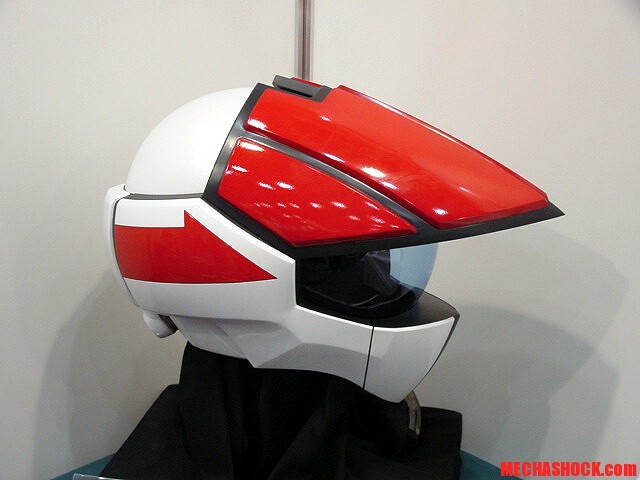 The real scale helmet is price 1500 USD. Thats a bit step is it ? After long 5 years now another real motorcycle Macross Helemt is yet to be produced. 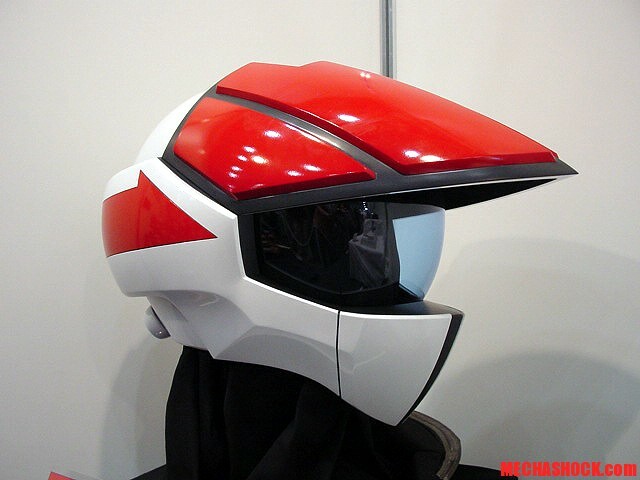 This one of course less extreme then the previous model, the helmet this time is from SDF Macross – Do You Remember Love? Skull Platoon Motorcycle Helmet Roy Focker and Hikaru Ichijyo types. however though still look very cool. Refer to the image bellow. 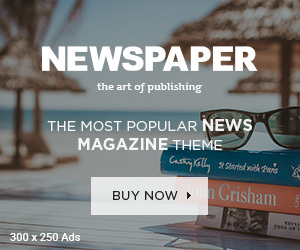 Pre-order period is on from now till November 30th. This will be release on Febuary 2010 with the price around 430 USD, 1/3 of the Yamato version of the helmet! !